More than 40 years after revolutionizing the boating industry, Johnny Morris, conservationist and leader of The Great Outdoors Group that includes iconic outdoor brands like TRACKER, Ranger, Bass Pro Shops and Cabela’s, is aligning with Textron Specialized Vehicles Inc., a Textron Inc. company, to do the same thing again in the ATV and side-by-side industry. TRACKER announced a memorandum of understanding to form a game-changing new partnership with Textron Specialized Vehicles Inc., to introduce TRACKER Off Road. This bold new line of high-performance all-terrain vehicles and side-by-sides will offer breakthrough performance, service and value. The partnership will bring together TRACKER, part of Bass Pro’s White River Marine Group, with Textron. 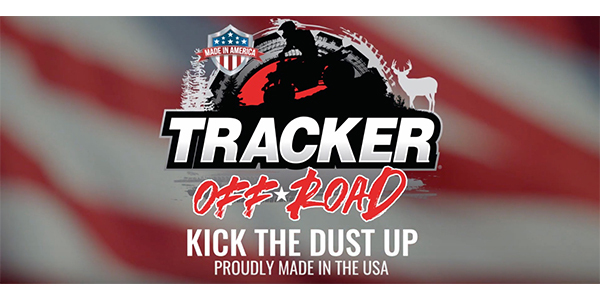 TRACKER Off Road vehicles will be sold through the world’s leading independent boat dealer network of select Ranger, Triton and Tracker, and other independent dealers, as well as at Bass Pro Shops and Cabela’s locations, which host more than 200 million outdoor lovers annually. Manufactured in the United States, TRACKER Off Road vehicles are now in production and expected to make their debut this spring. The new models will be designed in partnership with Textron Specialized Vehicles Inc., known worldwide for its brands and products that serve numerous industries. TSV product lines include Arctic Cat snowmobiles, side-by-sides and ATVs; Cushman utility vehicles, E-Z-GO golf cars, Jacobsen professional turf care equipment, and Textron GSE ground support equipment. TSV will manufacture TRACKER Off Road vehicles at its facility in Thief River Falls, MN. TRACKER Off Road will be marketed to Bass Pro’s large database of outdoor sportsmen. To kick off the campaign, the two American icons introduced the new off-road line with high-profile celebrities and sportsmen including NFL Super Bowl Champion Peyton Manning, country music star Luke Bryan, Professional Bull Riding legend “Cool Hand” Luke Snyder and fishing legend Jimmy Houston. They joined Morris to help unveil the new vehicles for more than 2,000 team members, dealers and special guests at Bass Pro Shops headquarters in Springfield, MO. The event was broadcast live on Jan. 17, to all Bass Pro and Cabela’s stores and more than 600 independent dealers worldwide. In keeping with Morris’ lifetime commitment to conservation, TRACKER Off-Road will also help support several of the nation’s leading not-for-profit conservation organizations as the Official Off-Road Vehicle of both the National Wild Turkey Federation and the Quality Deer Management Association. Becky Humphries, CEO of the National Wild Turkey Federation, was on-hand for the announcement and to discuss its role in advancing conservation. The TRACKER Off Road announcement is considered to be among the most significant since the company’s historic launch more than 40 years ago. 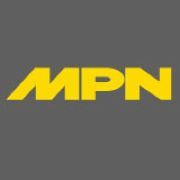 In 1978, avid young angler and Bass Pro Shops founder, Morris, revolutionized the marine industry when he introduced the world’s first professionally rigged and nationally marketed boat, motor and trailer packages. The innovative approach suddenly made the joy of fishing and boating more affordably available to millions of families. TRACKER Boats quickly became and has remained the number one selling fishing boat brand in America.